All fruit has natural sugar, but they also have nutrients and so many other benefits. It seems like the topic of fruit is in much controversy these days. It makes sense as the rise in diabetes is just one of the reasons more people are watching their sugar intake. Since fruits have sugars, albeit natural sugars, many people are choosing not to eat fruit or are not sure if it is healthy. Not to mention that you can also consume fruits in the form of juice. Not all sugars are necessarily the same; it is not appropriate to compare the natural sugars that come from fruits to the processed refined sugars that we find in so many other foods. Our desire for sweet tasting food is perfectly normal and natural. 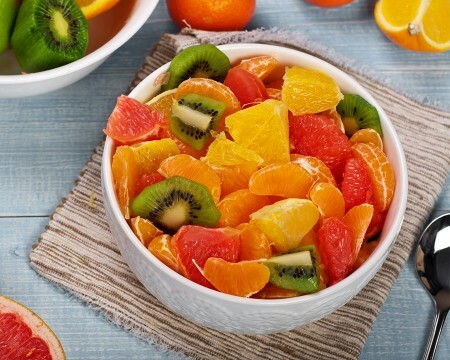 Fruits are a great way to help manage any sugar cravings. Just like anything else you want to eat fruits in moderation. Too much of anything- even a good thing- can become a bad thing. The main concern people typically have when it comes to fruit is the sugars. All fruit has natural sugar, but they also have nutrients and so many other benefits, so fruit can be a good alternative for satisfying those sweet cravings. If you think about the natural state of fruit, it comes with fiber. The fiber is there for a reason, primarily to help your body slow down the way it metabolizes the sugar lessening the spike in your blood sugar levels. Rather than juicing fruit, it is better to juice vegetables and save the fruits for eating. This way you can get all the benefits of the nutrients and the fiber. This doesn’t mean to never drink any fruit juice; it mostly means be aware of the amount of sugar your body may be taking in and how it is set up to metabolize it. The best type of juicing when it comes to fruit is doing whole food juicing where you keep the fiber in the juice. This does help balance major spikes in blood sugar levels. Clearly adding more fruit to your diet can be very health promoting. You can most commonly find fruit either in the purely natural state or dried form. So what is the best fruit for you? Whether you are choosing to consume your fruits in the fresh or dried form, there are some things you can to do to better manage the way your body processes the natural sugars. When it comes to how our bodies react to sugar, the main thing is that we experience spikes in our blood sugar levels. When we consume foods that have sugar, our blood sugar levels spike up and then within a short period of time, fall back down. The impact this has on our appetite is that shortly after you eat sugars, you may find yourself hungry again. Our goal should be to help stabilize our blood sugar levels, which will also help manage our frequency of hunger. When eating fruit, here are a couple of things you can do that will best support the way your body processes those natural sugars. 1. Regardless of whether you are eating fresh or dried fruits, you want to make sure to eat more of the fruits that also have a significant amount of fiber to support your body in maintaining blood sugar levels. Figs are an excellent example of a fruit, dried or in its natural state, that comes with lots of fiber. 2. Any time you add a fat with sugar it slows down how quickly your body will metabolize the sugar. Therefore, when eating fruits or dried fruits, it makes sense to pair them with nuts and seeds. The healthy natural fats that are in nuts and seeds are not only good for you but will better support your body in processing the natural sugars in the fruit. Also, the nuts are nutrient dense and will keep you satiated longer, helping to manage any excessive snacking. 3. Make an effort to eat more of your fruit in it’s whole state, whether it is fresh or dried rather then drinking it. If you do decide to juice the fruit try whole food juicing rather than using a juice extractor which removes the fiber. This will help better manage any spikes in blood sugar levels and if you add in a handful of nuts or seeds this will further support your body in handling any natural sugars in a healthy way. The other challenge with drinking fruit is that it is so easy to drink so much so fast that we can easily loose track of the amount of sugar, carbohydrates and calories we may be consuming. It's about impossible to get completely rid of sweet sugar cravings or sweet cravings, but we can choose how to respond and satisfy them with much healthier snacking options. Fresh and Eatnuts.com Dried Fruits are an excellent alternative option. Mix them with some nuts and seeds and you simply can't go wrong.